Are you interested in fighting your case for the best result possible? Was there a breath test taken on the scene? Result? Was there a breath test at the police station? Result? Was there a blood test taken? Result? Is this your first arrest for DUI/DWI/Drunk Driving in your lifetime-anywhere, even if dismissed? 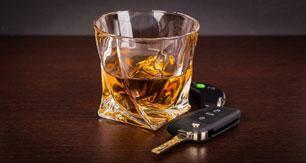 Are you currently on probation/parole for any DUI or criminal case? Why were you stopped according to the police officer? Was there an accident? Was anyone injured? Were you stopped at a roadblock? Were you given field sobriety tests at the scene, hospital or police station? Which tests were you given? Did any police tell you that the tests were optional (you could refuse)? Were you videotaped at the scene or police station? Do you want to challenge the possible suspension of your drivers license? What for do you need driving privileges? Did you ever tell the police that you wanted to speak to an attorney? Did you ever ask for an independent test of your own? Is it possible that there was drugs/medications in your system? Were you under any kind of doctors care on the date of your arrest? Are there any witnesses who were with you before or during your driving that can testify for you? Do you have any prior injuries, or present disabilities, that might have affected your driving or testing that night/day?